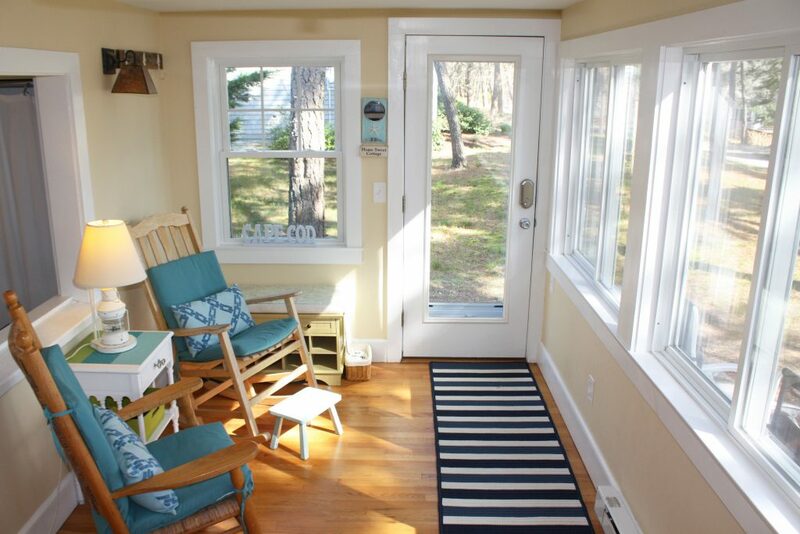 Nestled in a quiet corner of Cape Cod, the Summer Pines Cottage epitomizes the relaxing Airbnb getaway we perpetually seek. With views of a serene pond and the beach just a mile away, our week-long trip to this famous destination exceeded all the expectations we had built up in our heads. 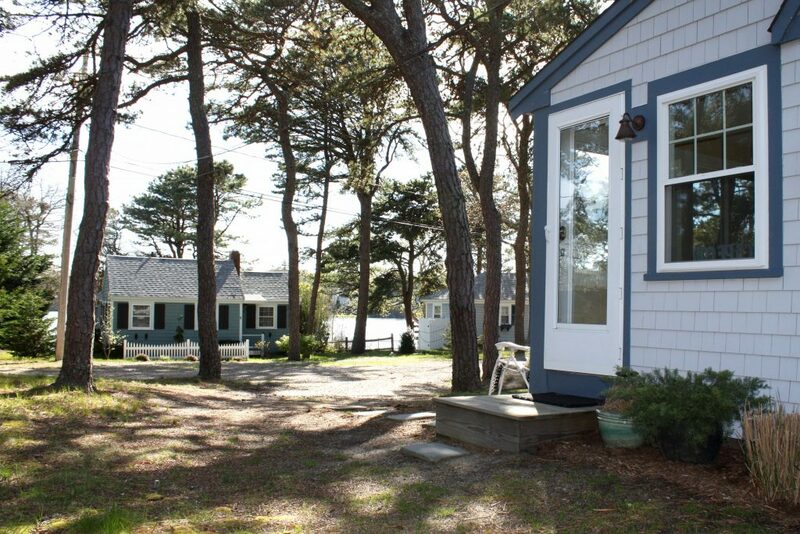 Situated in West Dennis, the Summer Pines Cottage boasts an ideal mid-Cape location perfect for exploring the area: endless beaches, incredible restaurants, and neighborhoods filled with grey, wind-worn siding with crisp white paint. 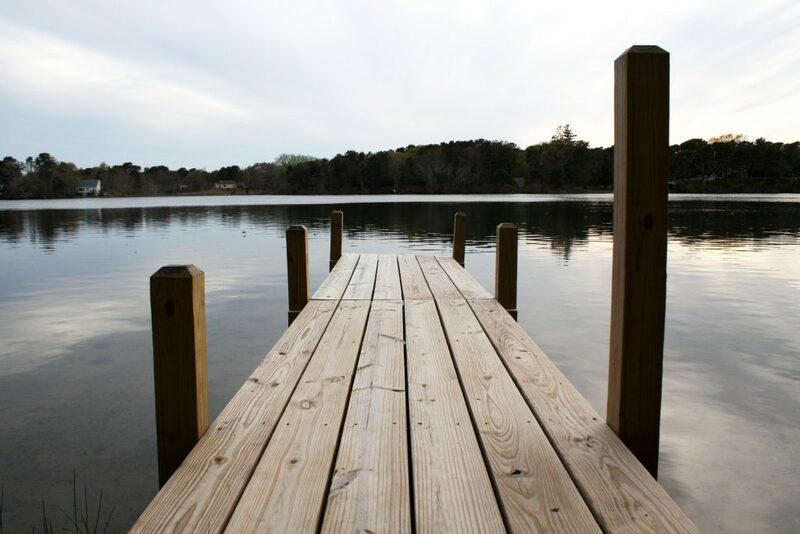 The catch, of course, is that the Summer Pines Cottage has been so thoughtfully assembled and beautifully designed that it can be just as tempting to stay put and soak up its relaxing atmosphere as it is to go out and about exploring. Summer Pines Cottage is not the first entrepreneurial adventure hosts Valerie and Barry have embarked on as a couple. 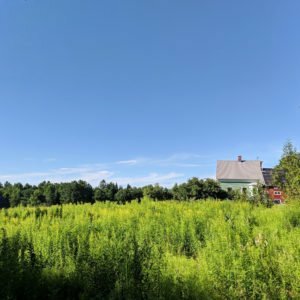 This husband and wife team runs their own design firm, Gates Studio, and they first ventured into short-term rentals with a cottage restoration on a lake in Maine. 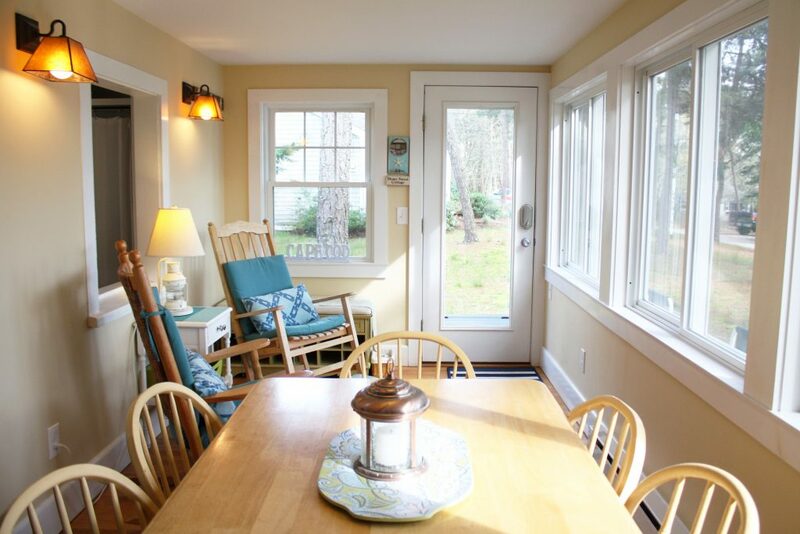 Eventually they sold that property and purchased the Summer Pines Cottage which they have meticulously renovated. Their projects have included extending the master bedroom, creating the window-lined front room, adding on a spacious back porch, and most recently, completely overhauling the kitchen. These individual renovations have culminated in a truly cohesive, airy space that puts guests like us at ease the moment we walk through the door. 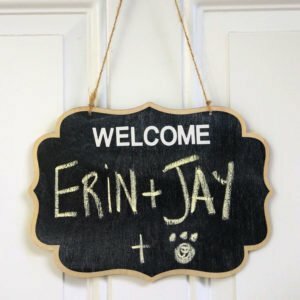 Their entrepreneurial spirit made them the perfect Airbnb hosts to pilot our In-Home Airbnb Consultation Package, and their advice for a budding “copreneurs” couple like us was spot on. Needless to say, we took lots of notes! When we first pulled up to this cozy cottage, we had no clue how spacious it would feel inside. The living room, front room, and kitchen create an open floor plan with two sleeping nooks lofted above accessed by a spiral staircase. 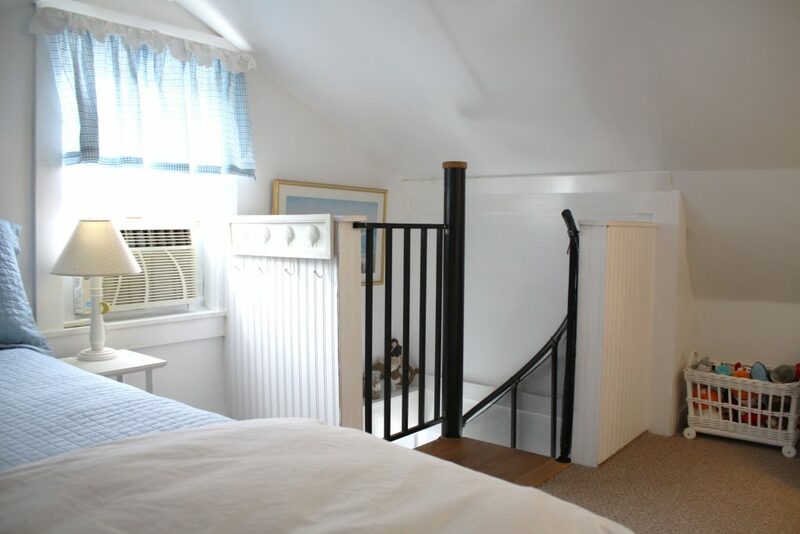 The master bedroom sits on the first floor with its own reading corner and glimpses of Kelley’s Pond across the street. Summer Pines Cottage is just one of a dozen or so small homes originally part of a camp that sat on the edge of the pond. Now all privately owned, this little community feels unlike any other neighborhood we encountered during our stay. 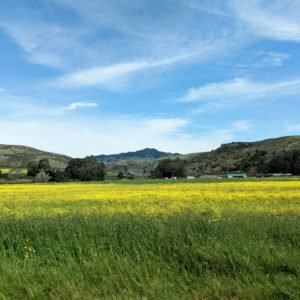 Clustered under tall pine trees, walking distance to West Dennis beach and the incredible O’Sheas’ Old Inne (boasting live music 365 days a year), it’s no wonder Valerie lovingly refers to this community as summer camp for adults. During their expansion of the master bedroom, Valerie and Barry created a stunning, window-lined front room where the front porch used to be. With its broad table, lightening fast internet speeds, and wall of windows facing the pond, this front room established itself as quite the workspace for two remote professionals. The room even has matching rocking chairs and sliding panes with screened in windows. In just seconds, we could transform this space from a productive office, to an enclosed dining room, to a screened in front porch. 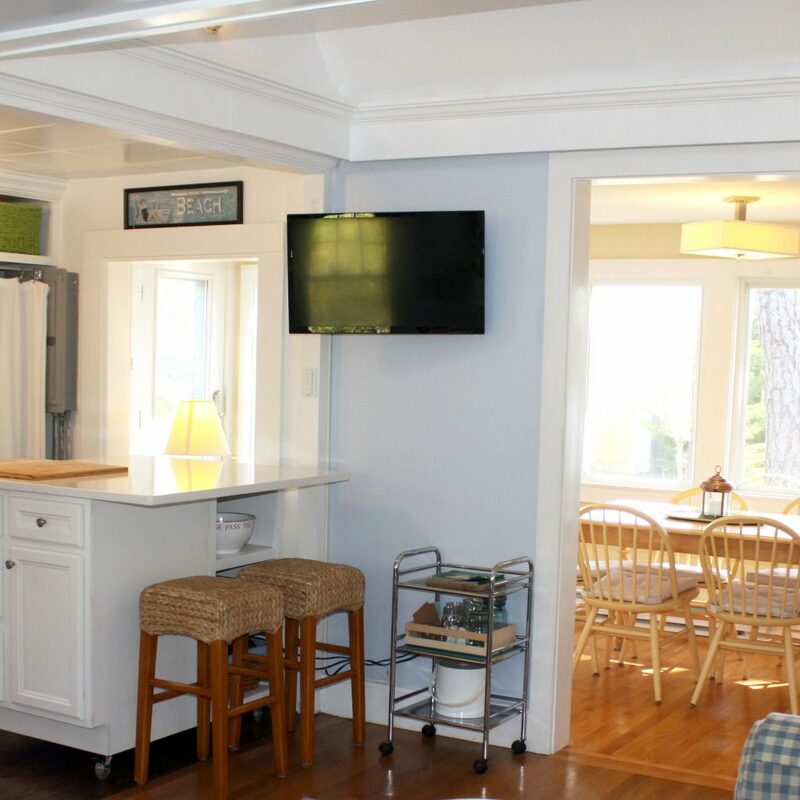 Last winter, Valerie and Barry embarked on their latest renovation of the Summer Pines Cottage and transformed the outdated kitchen into a stunning feat of engineering. In this compact space, they managed to incorporate every modern amenity a guest could want in an Airbnb kitchen while simultaneously keeping the space light and functional. There’s a fridge, microwave, stove, oven, dishwasher, washer and dryer, along with an exceptionally thorough collection of all the individual items we could need to cook. Just look at how well this place is stocked! 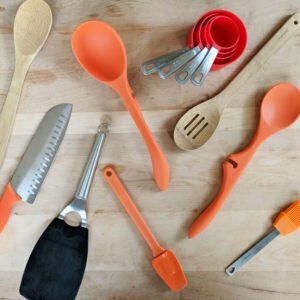 If you’re considering a kitchen renovation—whether or not it has to do with an Airbnb space—check out Valerie’s blog post about the six month project on her blog. The before and after photos will blow you away. Of all the personal touches Valerie and Barry have thoughtfully incorporated into their space, here are the ones we enjoyed during our week-long stay the most. During their renovations, Valerie and Barry protected the integrity of the original fireplace. Here they’ve assembled a stunning mantel. 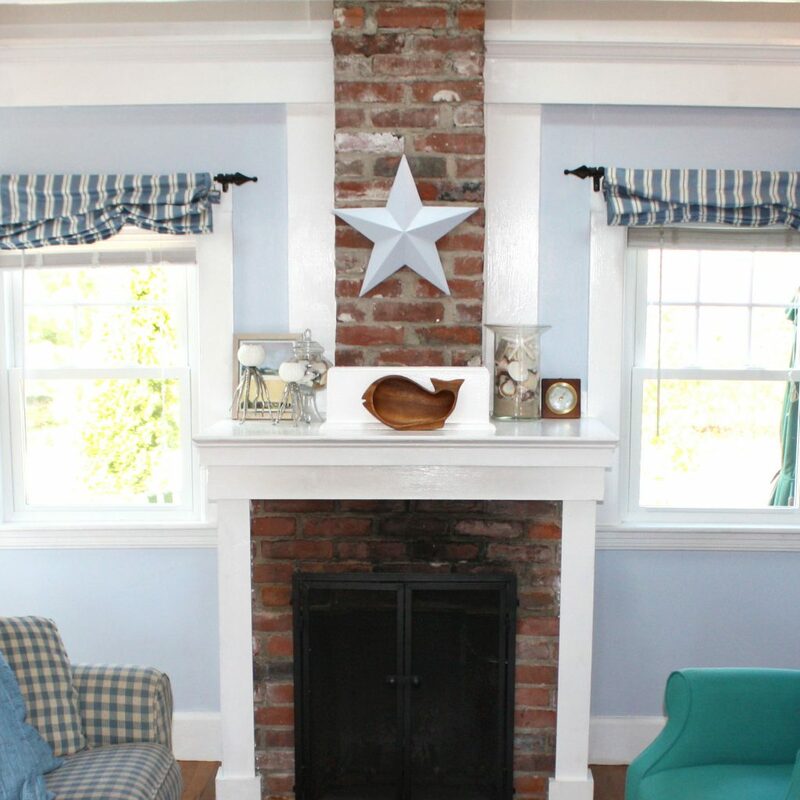 In our minds, this is the centerpiece of the cottage, establishing the nautical theme that runs throughout the space. 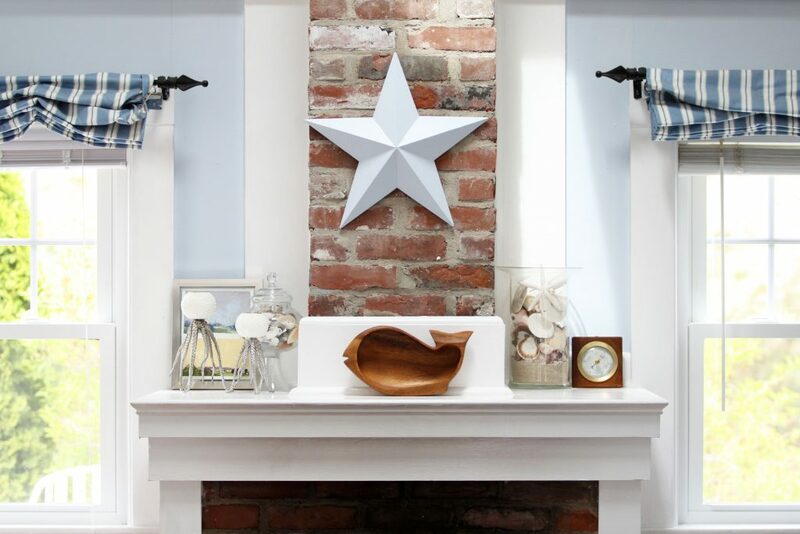 From the light blue barn star to the wooden whale, this collection was elegant and playful at the same time, and the brick provides the perfect textural addition to the room’s modern lightness. After nearly a year of Airbnb travels, we’ve seen all sorts of guest books. The one we found at the Summer Pines Cottage was particularly endearing. 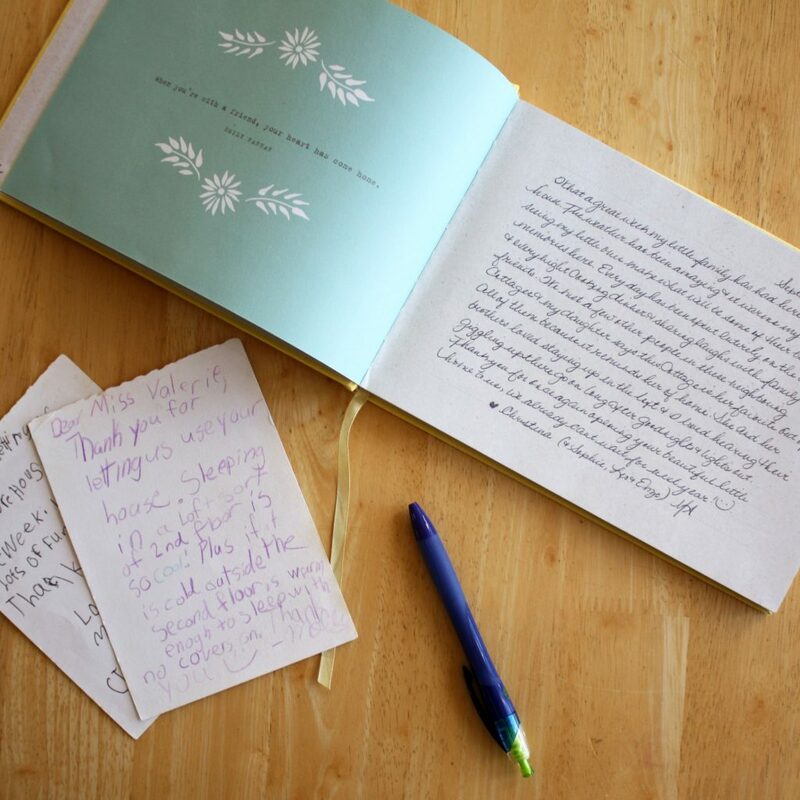 The pages alternated between artful quotes and individual pages for guests to jot down their own adventures. A guest book with a structure like this this seemed to encourage guests to fill an entire page with their adventures, which lead to much more detailed, personal, and memorable entries than we typically see. Although the cottage only has one door, which separates the master bedroom, this home is filled with little reading chairs tucked away in quiet corners of the house. In addition to the rocking chairs in the front room and seating area in the living room, Valerie and Barry have placed a comfy chair in the bedroom, a wicker chair by the backdoor, a papasan chair in one of the two upstairs bedroom nooks, and matching lounge chairs on the back patio and out front. The cottage has a super flexible TV set up for guests. The Roku enables guests to pick right back up with the shows they love on whichever platform they enjoy, and the adjustable television arm allows guests to watch while they cook or kickback in the living room. Toss in the throw blanket, comfy couch pillows, and the popcorn bowl they’ve set out, and this Airbnb makes for the perfect movie night. 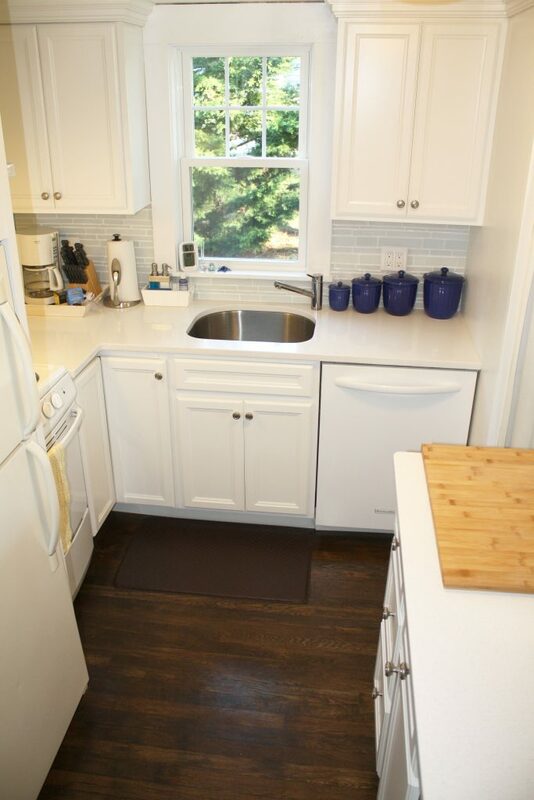 Perhaps the best part of the recent kitchen renovation was the custom-made island. 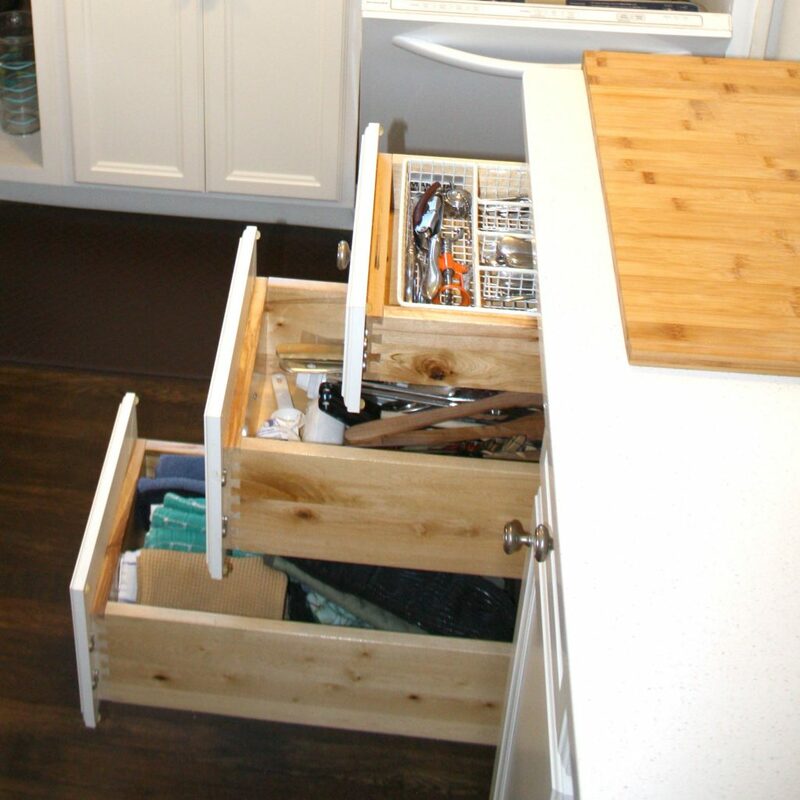 With bottomless storage and an expansive work surface, this piece made cooking in the kitchen a joy. Plus, Valerie and Barry set out a beautiful, large cutting board that hooks around the counter’s lip. The moment we walked into the kitchen, this small personal touch seemed to invite us to start cooking. 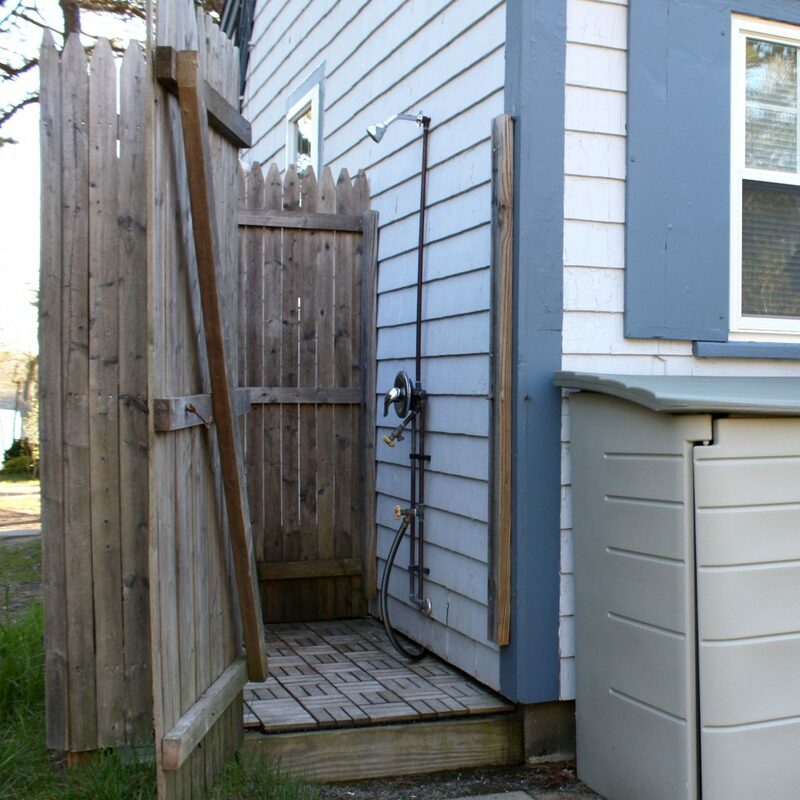 As we looked around the neighborhood, we’re pretty sure that an outdoor shower is somewhat common in coastal communities, but for two kids from Kansas, this addition to the cottage impressed! 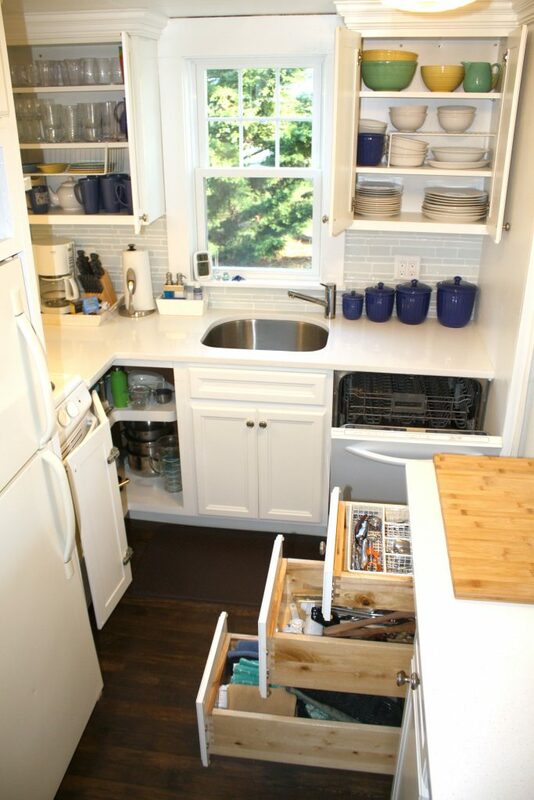 This is the perfect example of a host setting their guests up to take care of their space. In addition to the outdoor shower to rinse off sand, these hosts provided separate towels specifically for the beach. Smart, smart, smart. There’s a reason Valerie was one of the earliest Superhosts. If you have an Airbnb, consider adding one of these savvy tactics to your hosting playbook. 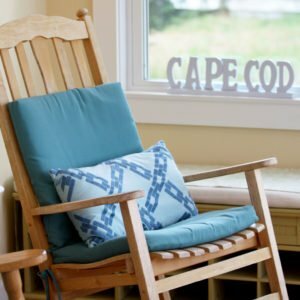 After several years of hosting guests at Summer Pines Cottage, Valerie channeled her knowledge as a Cape Cod native into her own blog, It’s a Cape Thing. The monthly archives go back to 2015 and the topics range from holidays on the peninsula to the Cape’s history and folklore. Not only does the blog serve as a useful tool for current guests (we referenced it several times), it provides a way for previous guests to stay connected to this special vacation home and encourage repeat bookings. This might be the sweetest amenity idea we’ve seen a host offer. 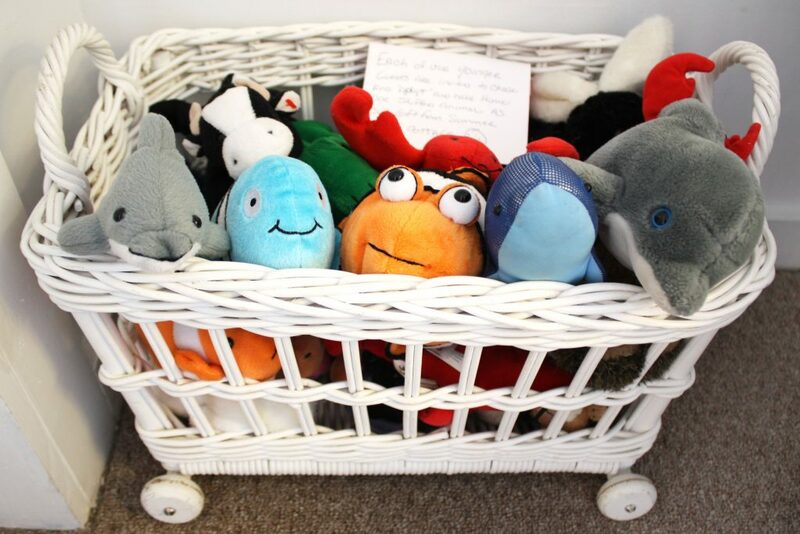 In one of the upstairs bedrooms, Valerie and Barry have assembled a collection of stuffed animals and beanie babies for their younger guests to adopt. We saw this experience recounted over and over in the guest book’s visitor highlights. By creating amenities specifically designed for kids, you demonstrate that your Airbnb doesn’t just tolerate kids, it was designed with them in mind. Parents. Love. This. Accurate advertising is so important to us as guests, and Valerie and Barry utilized a brilliant tactic to create clarity for their visitors. The cottage is located just across the street from a beautiful pond. However, it would be all too easy for potential guests perusing Cape Cod listings to mistake any advertised water as oceanfront. The solution? They found an aerial photo of the area and added labels to point out Kelley’s Pond and its relation to West Dennis beach. By highlighting this information in their photo reel (the one place all guests look), they’ve set themselves up for satisfied visitors with accurate expectations. 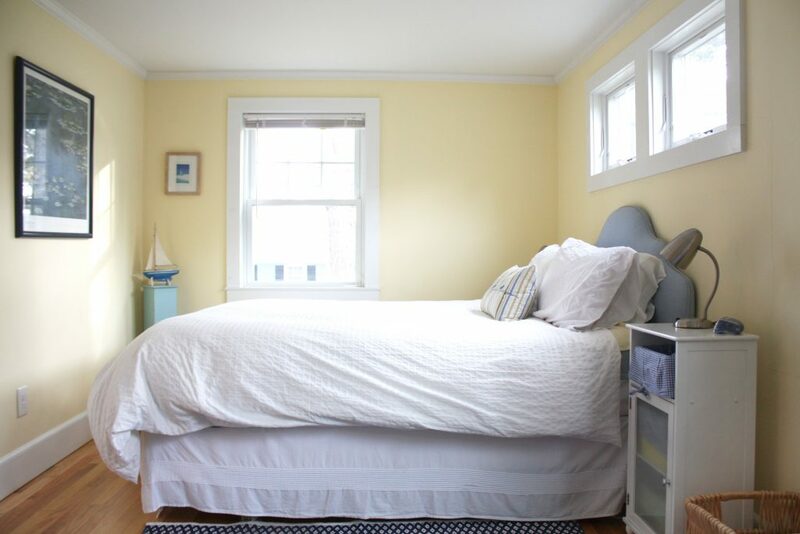 Airbnbs that have been around for several years tend to suffer from clutter creep. With an Airbnb as well as established as this, we couldn’t get over how spacious and light it felt. 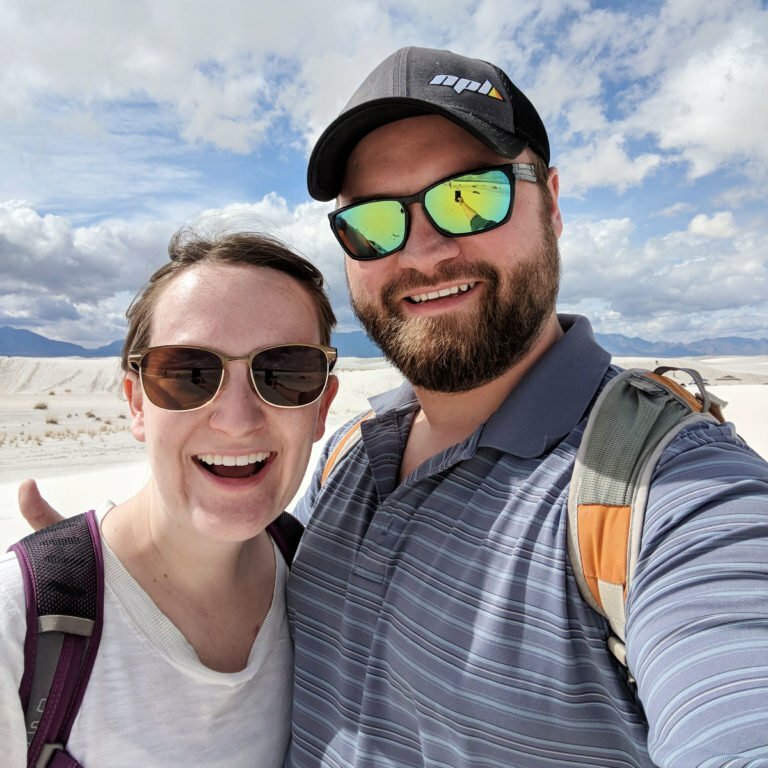 When we had the chance to meet Valerie and Barry at the end of our stay, we learned how they’d avoided the common clutter pitfall. Every time they bring something into the cottage, they take something away. 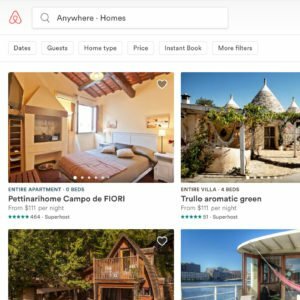 This simple strategy has kept their Airbnb polished, functional, and up-to-date. Decisions in the entryway of your Airbnb can make a bigger difference than you might think. In a location where plenty of the outdoors could sneak inside, Valerie and Barry opted for a full-length runner instead of the more typical smaller entry mat we tend to find at Airbnb doors. 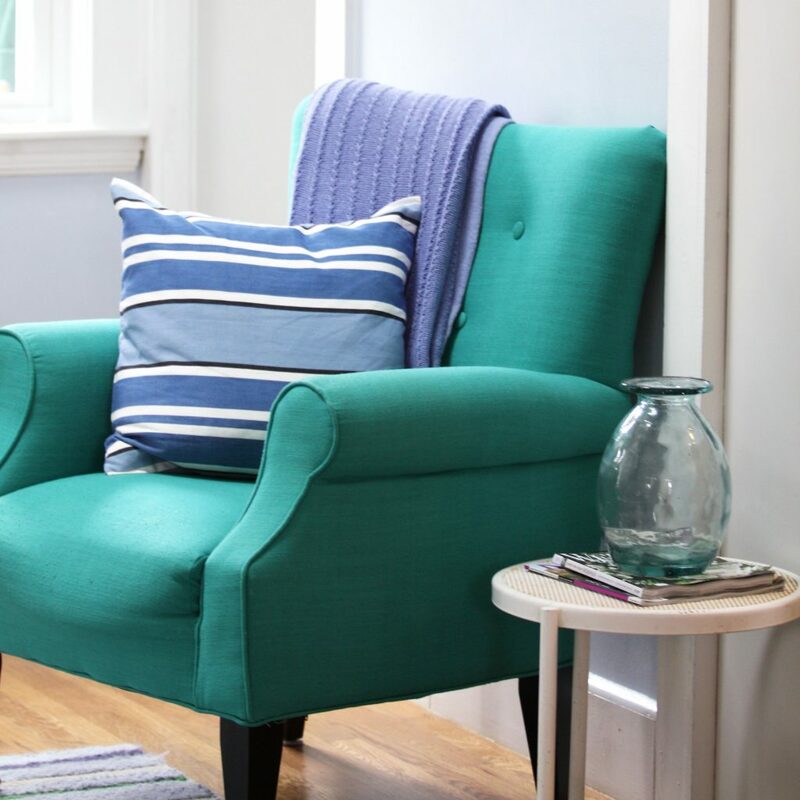 This extra space allows guests to walk completely into the home, kick off their shoes, and (without noticing it) still be on a rug that will catch the dirt and sand before it gets swept inside. 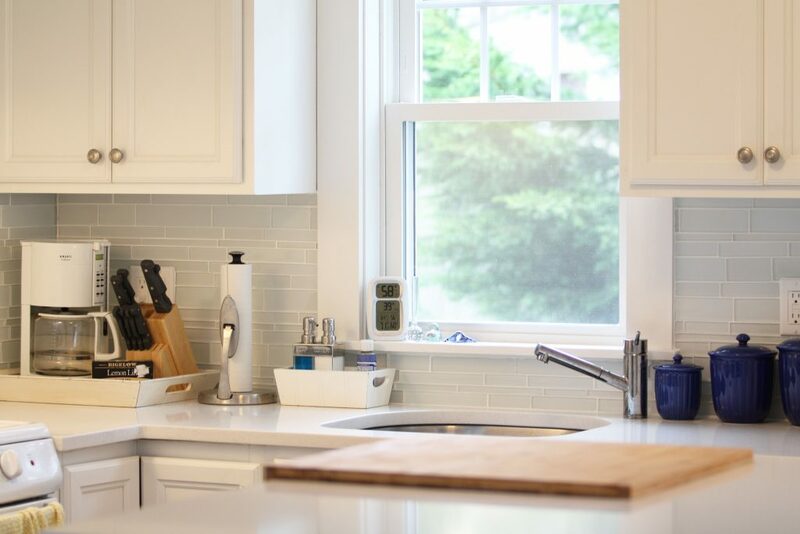 We’re big fans of the sparkling clean fridge approach when it comes to Airbnb kitchens, but we were delighted to find a water filter waiting for us at the Summer Pines Cottage. Every location’s water tastes different, and filtered, chilled water can minimize any palpable differences for guests. Valerie and Barry went not just one but two steps further by stocking fresh filters for their Brita and setting a few mugs in the freezer for the guest ready to pop open a beer and sit out on the patio. 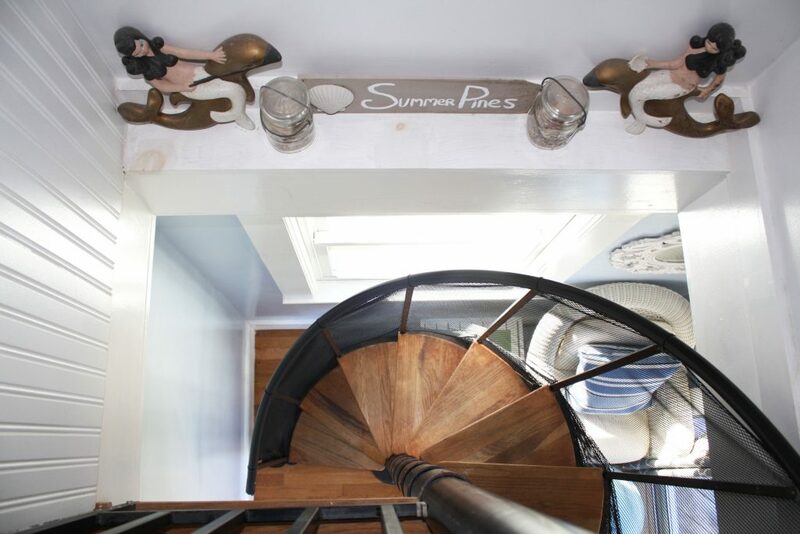 You might be surprised to know how many spiral staircases we’ve encountered during our Airbnb travels, and as you might imagine, there have been more than a fair share of bumped heads in the process. Valerie and Barry had prevented this situation but carefully covering each sharp edge of their spiral staircase with soft padding. 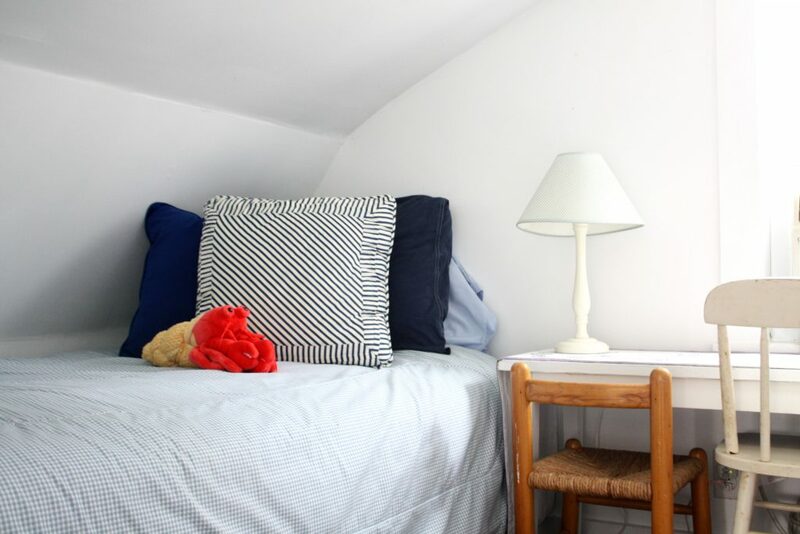 Take a look around your Airbnb and look for sharp corner that kids (or adults) could easily hit their heads on. Then cover those up with adhesive padding. Last but not least, here is a completely free hosting trick that guests like us absolutely love: send a quick message to your guests once the Airbnb is ready for them. Spaces are usually cleaned up and prepped for the next guest an hour or two before check-in time actually rolls around. By sending your guest a note that your Airbnb is ready for them whenever they are, you signal to your guests that you’re invested in the quality of their stay and aren’t looking to nickel and dime them for any additional time in your space. 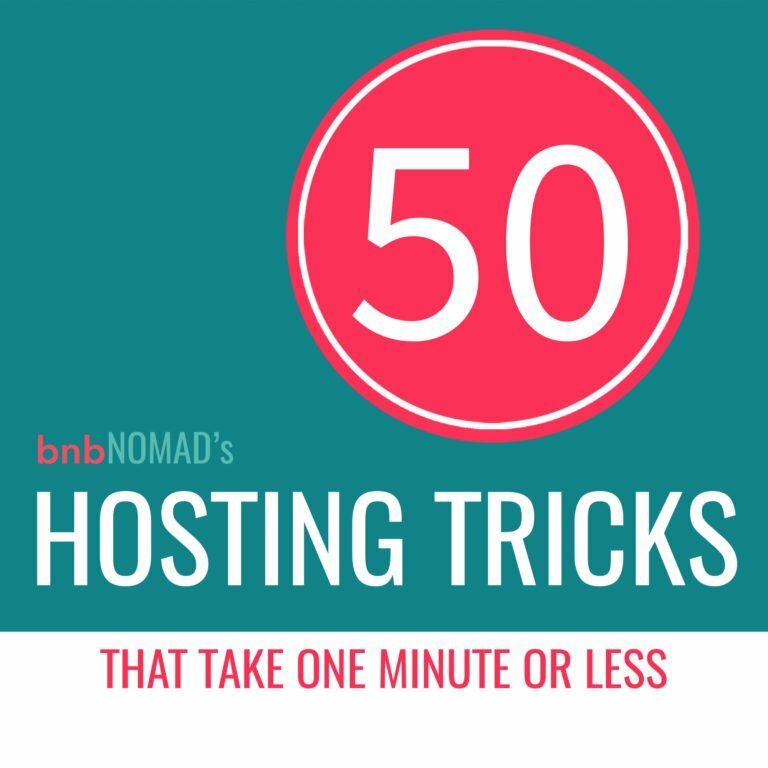 It’s such an easy trick, is a pleasant surprise, and sets your guests up to appreciate you and your Airbnb. 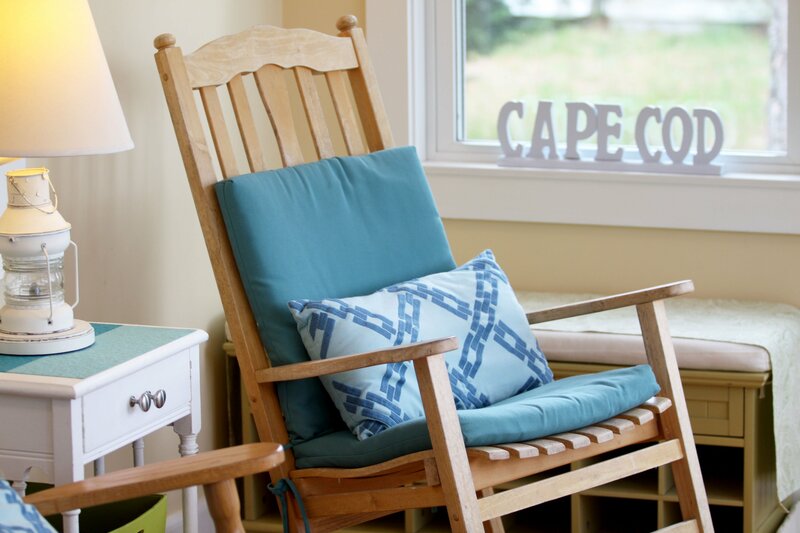 We’d be hard-pressed to come up with a guest who wouldn’t love this cottage, but we’d especially recommend the Summer Pines Cottage for Cape Cod visitors like these. A truly family-friendly Airbnb, this place would be ideal for several kids, especially elementary school ages. This place has the best Airbnb kitchen we’ve encountered yet. If you love to cook on the road, this is your spot! Between the fireplace, beaches, and local restaurants, this is the perfect place for that cozy getaway. 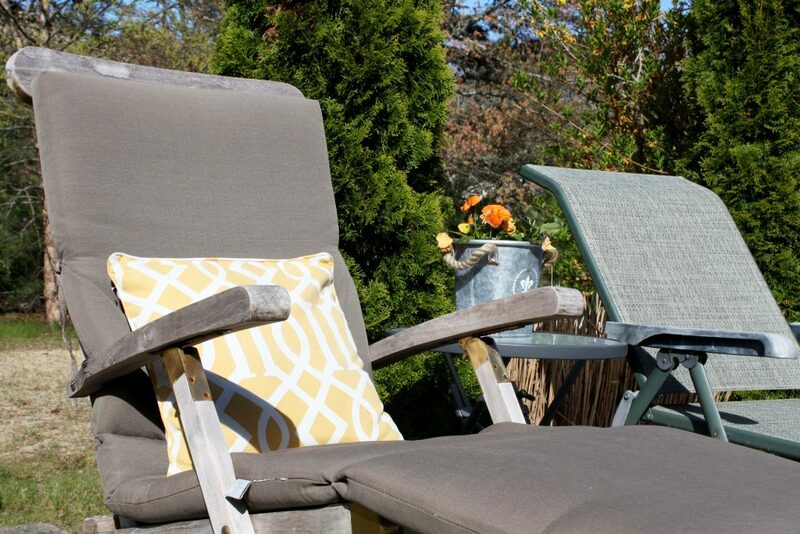 Book the Summer Pines Cottage!